Used Nanotechnology, so the molecules in the serum are so small that they can penetrate your skin pores and deep down the layers. It contains black raspberry and 12 different oriental medicinal herbs. 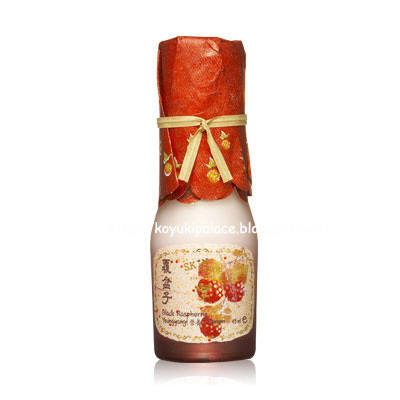 It contains anti-oxidant and helps to prevent damage of skin cells and anti-aging. My skin feels super soft and it also does a very good with oil control. After a few hours my skin doesn't feel oily at all (usually it feels very oily after few hours). It has a pink creamy texture, but thin and easy to spread onto your skin.